Here are the most important news items we have published in 2016 on PHP.net. Conference that delivers high-value technical content about PHP and related web technologies, architecture, best practices and testing. Two days of amazing talks by some of the most prominent experts and professionals in the PHP world in a comfortable and professional setting. 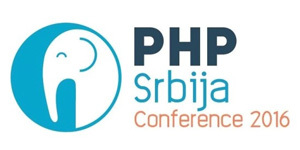 At PHPSerbia Conference, you’ll have the unique opportunity to learn about the latest development trends and innovations, as well as to network with fellow attendees and the speakers. The PHP development team announces the immediate availability of PHP 5.6.29. This is a security release. Several security bugs were fixed in this release. All PHP 5.6 users are encouraged to upgrade to this version. For source downloads of PHP 5.6.29 please visit our downloads page, Windows source and binaries can be found on windows.php.net/download/. The list of changes is recorded in the ChangeLog. CoderCruise is the spiritual successor to php[cruise] that was run in 2016. The PHP community had so much fun that we decided we needed to expand the idea to the greater web tech community! This will be a 7-day cruise out of the port of New Orleans that will include 3 days of conference (while at sea) and 3 days at the ports of Montego Bay, Grand Cayman, and Cozumel. Yes, you read that right. This is a conference on a cruise ship. We currently have our Call for Speakers open until January 6th, 2017. 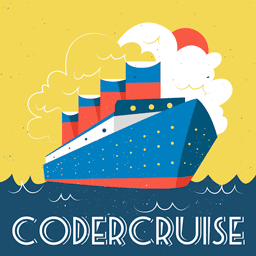 For CoderCruise we are looking for submissions covering a wide range of web technology topics including coding, design, content, and more. Given the scope of this conference, emphasis will be given to talks that appeal to all web technologists regardless of their programming language of choice (or lack thereof). We also welcome non-technical proposals that will appeal to a tech audience, and most importantly of all, we would love to have family-friendly sessions designed to teach kids to code or use related technologies. The PHP development team announces the immediate availability of PHP 7.1.0. This release is the first point release in the 7.x series. For source downloads of PHP 7.1.0 please visit our downloads page, Windows binaries can be found on the PHP for Windows site. The list of changes is recorded in the ChangeLog. 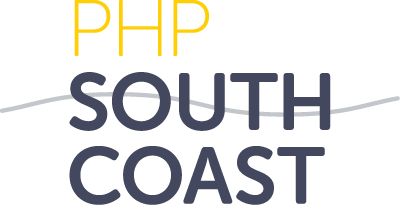 The PHP South Coast team are pleased to announce the CFP for our 2017 conference is now open. We're eager to broaden the skill base of PHP developers with challenging new talks as well as introducing new and upcoming speakers from the PHP community. PHP South Coast is a not-for-profit community organised conference, a collaboration between six PHP user groups in the South UK. We'd love to see your talks, head to our call for papers site and let us know. Blind bird tickets are also available now, just head to the PHP South Coast website now for more information. All delegates of the International PHP Conference have, in addition to PHP program, free access to the entire range of the webinale '17 taking place at the same time. The 12th annual edition of php[tek], the longest running community focused PHP conference, will be taking place May 24-26, 2017 in Atlanta! We have opened up our Call for Speakers and look forward to seeing all the amazing proposals that you will submit to us. Don't hesitate, the Call for Speakers is only open until December 30th, 2016. So get those submissions in soon, we look forward to hearing from you! The PHP development team announces the immediate availability of PHP 5.6.28. This is a security release. Several security bugs were fixed in this release. All PHP 5.6 users are encouraged to upgrade to this version. For source downloads of PHP 5.6.28 please visit our downloads page, Windows source and binaries can be found on windows.php.net/download/. The list of changes is recorded in the ChangeLog. The PHP development team announces the immediate availability of PHP 7.1.0 Release Candidate 6. This release is the sixth and final release candidate for 7.1.0. All users of PHP are encouraged to test this version carefully, and report any bugs and incompatibilities in the bug tracking system. For source downloads of PHP 7.1.0 Release Candidate 6 please visit the download page, Windows sources and binaries can be found on windows.php.net/qa/. The PHP development team announces the immediate availability of PHP 7.0.13. This is a security release. Several security bugs were fixed in this release. All PHP 7.0 users are encouraged to upgrade to this version. For source downloads of PHP 7.0.13 please visit our downloads page, Windows source and binaries can be found on windows.php.net/download/. The list of changes is recorded in the ChangeLog. We are pleased to announce the 2017 SunshinePHP Schedule. Our highly diverse lineup of 45 speakers will be delivering 5 keynotes, 8 in-depth 3-hour tutorials, and 40 talks 1-hour in length over this 3 day event. SunshinePHP hit it's 5th year and will happen from February 2nd to 4th, 2017 in sunny Miami, Florida. As one of the largest community conferences in the U.S. the schedule is amazing this year. We will have a full tutorial day featuring 3-hour sessions followed by 2 days of 1-hour talks and inspirational keynotes. In addition we will also have an Uncon for attendees to share unscheduled talks, a hack event, and plenty of other fun and/or educational activities. So leave the February cold behind and come warm up in Miami, Florida for a few days of sharing and networking with other PHP folks. We recently released the presentations for ConFoo Montreal. This giant conference will be held on March 8-10, 2017. It's also the last chance to get tickets for ConFoo Vancouver, held on December 5-7, 2016. ConFoo is a multi-technology conference aimed specifically at web developers. It has between 100 and more than 150 presentations by local and international speakers. This conference offers a great diversity in content to expand your knowledge and increase your productivity. It is the perfect place to sharpen those hard tech skills and discover the latest practices. There is a great range of topics, including PHP, many other programming languages, databases, security, performance, machine learning and project management. For source downloads of PHP 7.1.0 Release Candidate 5 please visit the download page, Windows sources and binaries can be found on windows.php.net/qa/. The sixth and last release candidate will be released on the 10th of November. You can also read the full list of planned releases on our wiki. Come to the leading PHP Conference in Latin America! 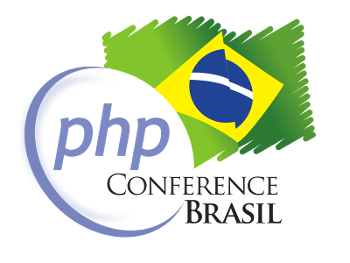 The 11th edition of PhpConference Brasil will happen between December 7th (Wednesday) and December 11th (Sunday). The last event day will be reserved for participants to rest and improve their networking. This year we'll have hands-on courses (8 hour duration each), practical mini-courses (4 hour duration each), talks and keynotes. The event venue provide us a camping area, so you can come and stay all night long. Come to learn about PHP and improve your networking! More informations at www.phpconference.com.br. The PHP development team announces the immediate availability of PHP 7.1.0 Release Candidate 4. This release is the fourth release candidate for 7.1.0. All users of PHP are encouraged to test this version carefully, and report any bugs and incompatibilities in the bug tracking system. For source downloads of PHP 7.1.0 Release Candidate 4 please visit the download page, Windows sources and binaries can be found on windows.php.net/qa/. The fifth release candidate will be released on the 27th of October. You can also read the full list of planned releases on our wiki. 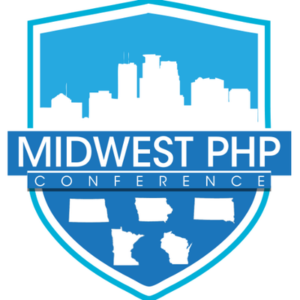 The Midwest PHP conference is thrilled to announce the opening of their Call for Papers at https://cfp.midwestphp.org through November 15, 2016. Midwest PHP 2017 Conference is launching into its fifth year at the Radisson Blu at Mall of America on March 17-18. With the growth of the Midwest PHP conference this is the one conference you cannot afford to miss in 2017. Make sure to allow follow the Midwest PHP Conference on twitter at https://twitter.com/midwestphp or on facebook at https://www.facebook.com/midwestconf to stay up to date with the lates news from Midwest PHP. The PHP development team announces the immediate availability of PHP 5.6.27. This is a security release. Several security bugs were fixed in this release. All PHP 5.6 users are encouraged to upgrade to this version. For source downloads of PHP 5.6.27 please visit our downloads page, Windows source and binaries can be found on windows.php.net/download/. The list of changes is recorded in the ChangeLog. The PHP development team announces the immediate availability of PHP 7.0.12. This is a security release. Several security bugs were fixed in this release. All PHP 7.0 users are encouraged to upgrade to this version. For source downloads of PHP 7.0.12 please visit our downloads page, Windows source and binaries can be found on windows.php.net/download/. The list of changes is recorded in the ChangeLog. The PHP development team announces the immediate availability of PHP 7.1.0 Release Candidate 3. This release is the third release candidate for 7.1.0. All users of PHP are encouraged to test this version carefully, and report any bugs and incompatibilities in the bug tracking system. For source downloads of PHP 7.1.0 Release Candidate 3 please visit the download page, Windows sources and binaries can be found on windows.php.net/qa/. The fourth release candidate will be released on the 13th of October. You can also read the full list of planned releases on our wiki. The PHP UK Conference 2017 Call for Papers is now open! We are looking for talks relating to any non-basic aspect of the PHP programming language, be it mainstream, advanced, niche or non-technical. We are looking for real 'wow' talks that are fresh and inspiring about cutting edge topics or new perspectives on common problems. The audience will be from all backgrounds varying in skill level from beginner to intermediate to advanced, so talks varying widely in topic and skill levels are required. Most of all we want speakers who have a deep knowledge about the topics they are proposing and can't wait to share that knowledge with a whole group of of eager listeners. Tell us what you're most passionate about and why we should be passionate about it as well. PHP UK Conference will be held on February 16-17, 2017 at the Brewery Conference Centre in London. The PHP development team announces the immediate availability of PHP 7.1.0 Release Candidate 2. This release is the second release candidate for 7.1.0. All users of PHP are encouraged to test this version carefully, and report any bugs and incompatibilities in the bug tracking system. For source downloads of PHP 7.1.0 Release Candidate 2 please visit the download page, Windows sources and binaries can be found on windows.php.net/qa/. The third release candidate will be released on the 29th of September. You can also read the full list of planned releases on our wiki. The PHP development team announces the immediate availability of PHP 5.6.26. This is a security release. Several security bugs were fixed in this release. All PHP 5.6 users are encouraged to upgrade to this version. For source downloads of PHP 5.6.26 please visit our downloads page, Windows source and binaries can be found on windows.php.net/download/. The list of changes is recorded in the ChangeLog. The PHP development team announces the immediate availability of PHP 7.0.11. This is a security release. Several security bugs were fixed in this release. All PHP 7.0 users are encouraged to upgrade to this version. For source downloads of PHP 7.0.11 please visit our downloads page, Windows source and binaries can be found on windows.php.net/download/. The list of changes is recorded in the ChangeLog. The team behind php[architect] magazine are excited to announce the full schedule for our Fall conference: php[world] 2016 coming up from November 14-18 in Washington, D.C. This conference will be our biggest yet, featuring 60 sessions, 10 workshops, and 5 one and two-day training classes. Not to mention 5 amazing keynotes from leaders in the PHP community, and a special keynote by developers from NPR Radio to talk about their experiences with PHP. We look forward to seeing you again at php[world] this fall for an amazing conference! PHPBenelux Conference 2017 is an annual PHP oriented conference in Antwerp, Belgium and will take place on Friday, January 27 and Saturday, January 28 2017. We offer two days of stellar tutorials and talks, epic social events and a lineup of the best local and international businesses involved with PHP. We like to invite speakers to submit their tutorials and talks at PHPBenelux CFP. Follow us on Twitter or like us on Facebook to stay updated with news from the PHPBenelux crew. The PHP development team announces the immediate availability of PHP 7.1.0 Release Candidate 1. This release is the first release candidate for 7.1.0. All users of PHP are encouraged to test this version carefully, and report any bugs and incompatibilities in the bug tracking system. For source downloads of PHP 7.1.0 Release Candidate 1 please visit the download page, Windows sources and binaries can be found on windows.php.net/qa/. The second release candidate will be released on the 15th of September. You can also read the full list of planned releases on our wiki. Introducing Scotland's first and best PHP conference. ScotlandPHP is a one-day conference, being held on Saturday October 29th 2016 in our nation's capital, Edinburgh. The conference venue is the super-awesome Dynamic Earth, in the spectacular surroundings of Holyrood Park and Edinburgh's historic Old Town. There will be two tracks across the day, packed with the best speakers around and bookended by keynotes from world class speakers: Anthony Ferrara and Jessica Rose. Visit the ScotlandPHP Conference website for further details and to purchase tickets. You’ll have 45 minutes to wow the crowd, with 35 minutes for your topic and 10 minutes for Q&A. We can’t wait to see your proposals. Knock us out! ConFoo Montreal will be held on March 8-10, 2017. For those of you who already know about our conference, be aware that this annual tradition will still be running in addition to ConFoo Vancouver. Visit our site to learn more about both events. Bulgaria PHP Conference is the premier PHP conference, gathering PHP and frontend developers and engineers from all around Europe. Co-organized by the Bulgaria PHP User Group and SiteGround web hosting, the conference is bringing internationally renowned experts from the PHP industry to talk about APIs, Frameworks, Security, Testing, Continuous Integration, and much more! Get your discounted ticket today. Price increases to the regular one (129 EUR) on September 1, 2016. Still not convinced? Here are several reasons to head to Sofia for Bulgaria PHP Conference. The PHP development team announces the immediate availability of PHP 7.1.0 Beta 3. This release is the last beta for 7.1.0. All users of PHP are encouraged to test this version carefully, and report any bugs and incompatibilities in the bug tracking system. For source downloads of PHP 7.1.0 Beta 3 please visit the download page, Windows sources and binaries can be found on windows.php.net/qa/. The first release candidate will be released on the 1st of September. You can also read the full list of planned releases on our wiki. The PHP development team announces the immediate availability of PHP 5.6.25. This is a security release. Several security bugs were fixed in this release. All PHP 5.6 users are encouraged to upgrade to this version. For source downloads of PHP 5.6.25 please visit our downloads page, Windows source and binaries can be found on windows.php.net/download/. The list of changes is recorded in the ChangeLog. We are happy to announce the CFP for SunshinePHP 2017 has launched at https://cfp.sunshinephp.com where we will accept talk submissions until September 30th, 2016. SunshinePHP hit it's 5th year and will happen from February 2nd to 4th, 2017 in sunny Miami, Florida. As one of the largest community conferences in the U.S. there is no doubt the schedule will be amazing this year. We will have a full tutorial day featuring 3-hour sessions followed by 2 days of 1-hour talks and inspirational keynotes. With over 250 million PHP applications and websites driven by a global community of more than 5 million active developers, ZendCon 2016 brings you a curated selection of the best experts, training, and networking opportunities to help you become a PHP authority. In its 12th year, ZendCon offers authoritative sessions, in-depth technical tutorials, exhibit hall activities, and informal opportunities to spotlight the best in enterprise PHP development, the latest for PHP 7, and innovations on many open source technologies related to the web. The PHP development team announces the immediate availability of PHP 7.1.0 Beta 2. This release is the second beta for 7.1.0. All users of PHP are encouraged to test this version carefully, and report any bugs and incompatibilities in the bug tracking system. For source downloads of PHP 7.1.0 Beta 2 please visit the download page, Windows sources and binaries can be found on windows.php.net/qa/. The third and last beta will be released on the 18th of August. You can also read the full list of planned releases on our wiki. PHPConf.Asia 2016 is happening in Singapore on 22-24 August 2016. Tutorial Day on 22 Aug. 2 day single track conference on 23 and 24 August. Early Bird Tickets available now! (valid till 5 August). Visit https://2016.phpconf.asia for more details. For source downloads of PHP 5.6.24 please visit our downloads page, Windows source and binaries can be found on windows.php.net/download/. The list of changes is recorded in the ChangeLog. For source downloads of PHP 5.5.38 please visit our downloads page, Windows source and binaries can be found on windows.php.net/download. The list of changes is recorded in the ChangeLog. Note that according to our release schedule, PHP 5.5.38 is the last release of the PHP 5.5 branch. There may be additional release if we discover important security issues that warrant it, otherwise this release will be the final one in the PHP 5.5 branch. If your PHP installation is based on PHP 5.5, it may be a good time to start making the plans for the upgrade to PHP 5.6 or PHP 7.0. For source downloads of PHP 7.0.9 please visit our downloads page, Windows source and binaries can be found on windows.php.net/download/. The list of changes is recorded in the ChangeLog. The PHP development team announces the immediate availability of PHP 7.1.0 Beta 1. This release is the first beta for 7.1.0. All users of PHP are encouraged to test this version carefully, and report any bugs and incompatibilities in the bug tracking system. Asynchronous Signal Handling (without ticks) in ext/pcntl. For source downloads of PHP 7.1.0 Beta 1 please visit the download page, Windows sources and binaries can be found on windows.php.net/qa/. The second beta will be released on the 8th of August. You can also read the full list of planned releases on our wiki. The PHP development team announces the immediate availability of PHP 7.1.0 Alpha 3. This release is the last alpha for 7.1.0. All users of PHP are encouraged to test this version carefully, and report any bugs and incompatibilities in the bug tracking system. For source downloads of PHP 7.1.0 Alpha 3 please visit the download page, Windows sources and binaries can be found on windows.php.net/qa/. The first beta will be released on the 21st of July. You can also read the full list of planned releases on our wiki. The PHP development team announces the immediate availability of PHP 7.1.0 Alpha 2. This is the second alpha release for PHP 7.1.0. All users of PHP are encouraged to test this version carefully, and report any bugs and incompatibilities in the bug tracking system. For source downloads of PHP 7.1.0 Alpha 2 please visit the download page, Windows sources and binaries can be found on windows.php.net/qa/. The first beta will be released on the 7th of July. You can also read the full list of planned releases on our wiki. The PHP development team announces the immediate availability of PHP 5.5.37. This is a security release, several security bugs were fixed. All PHP 5.5 users are encouraged to upgrade to this version. For source downloads of PHP 5.5.37 please visit our downloads page, Windows source and binaries can be found on windows.php.net/download/. The list of changes is recorded in the ChangeLog. The PHP development team announces the immediate availability of PHP 5.6.23. Several bugs were fixed in this release, including security-related ones. All PHP 5.6 users are encouraged to upgrade to this version. For source downloads of PHP 5.6.23 please visit our downloads page, Windows source and binaries can be found on windows.php.net/download/. The list of changes is recorded in the ChangeLog. The PHP development team announces the immediate availability of PHP 7.0.8. This is a security release. Several security bugs were fixed in this release. All PHP 7.0 users are encouraged to upgrade to this version. For source downloads of PHP 7.0.8 please visit our downloads page, Windows source and binaries can be found on windows.php.net/download/. The list of changes is recorded in the ChangeLog. All delegates of the International PHP Conference have, in addition to PHP program, free access to the entire range of the WebTechCon taking place at the same time. The PHP development team announces the immediate availability of PHP 7.1.0 Alpha 1. This release marks the beginning of the first minor release in the PHP 7.x series. All users of PHP are encouraged to test this version carefully, and report any bugs and incompatibilities in the bug tracking system. For source downloads of PHP 7.1.0 Alpha 1 please visit the download page, Windows sources and binaries can be found on windows.php.net/qa/. The second alpha will be released on the 23rd of June. You can also read the full list of planned releases on our wiki. DevConf 2016 in Moscow, Russia on June 17-18. DevConf is the ultimate meeting place for russian-speaking web-developers, combining several language-specific conferences under one roof. This year the conference will take place in Skolkovo Moscow School of Management. Each section will feature several talks from the active contributors/authors of the language. Among the invited speakers are Dmitry Stogov (Zend), Ekaterina Marshalkina (Drupal), Eduard Medvedev (StackStorm), Alexander Alekseev (Postgres Professional), Sergey Petrunya (MariaDB), Vasily Soshnikov (Mail.Ru), Nik Zavarnickiy (LuaJIT), Anton Shramko (Rust), Valentin Bartenev (NGINX) and speakers from Lazada, Oracle and other companies. See more details on the official website. We are excited to announce that the Call for Papers has opened for Madison PHP Conference 2016. Join us on Friday, September 30th, 2016 for a full day of tutorials followed by a three tracks of talks on Saturday, October 1st, 2016. Madison PHP Conference in Madison, Wisconsin focuses on PHP and related web technologies. This event is organized by Madison PHP and is designed to offer something to attendees at all skill levels. It will be two days of networking, learning, sharing, and great fun! 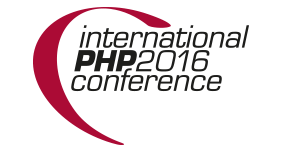 We are excited to announce that the Call for Speakers has opened for php[world] 2016. Now in its 3rd year, php[world] is the conference designed to bring the entire world of PHP together in one place, with dedicated tracks for the biggest applications and frameworks in the PHP community such as WordPress, Drupal, Magento, Joomla!, Symfony, Zend Framework, CakePHP, and Laravel. Don't hesitate, our Call for Speakers is only open for 3 weeks and closes on June 24th, 2016. So get those submissions in soon, we look forward to hearing from you! We will be hosting a 2-days event filled with high quality, technical sessions about PHP Core, PHP High Performance, PHP Engineering, and PHP more. The PHP development team announces the immediate availability of PHP 5.6.22. This is a security release. Several security bugs were fixed in this release. All PHP 5.6 users are encouraged to upgrade to this version. For source downloads of PHP 5.6.22 please visit our downloads page, Windows source and binaries can be found on windows.php.net/download/. The list of changes is recorded in the ChangeLog. The PHP development team announces the immediate availability of PHP 5.5.36. This is a security release. Several security bugs were fixed in this release. All PHP 5.5 users are encouraged to upgrade to this version. For source downloads of PHP 5.5.36 please visit our downloads page, Windows source and binaries can be found on windows.php.net/download/. The list of changes is recorded in the ChangeLog. The PHP development team announces the immediate availability of PHP 7.0.7. This is a security release. Several security bugs were fixed in this release. All PHP 7.0 users are encouraged to upgrade to this version. For source downloads of PHP 7.0.7 please visit our downloads page, Windows source and binaries can be found on windows.php.net/download/. The list of changes is recorded in the ChangeLog. We are happy to open the call for papers of ConFoo Vancouver 2016! If you are interested in speaking about PHP or other web development topics, please submit until June 6th. We will cover travel and hotel for the speakers who require it. 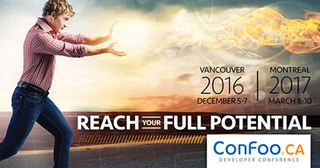 ConFoo Vancouver will be held on December 5-7, 2016. For those who are familiar with ConFoo Montreal, that conference will still be running annually in addition to Vancouver. Visit our site to learn more about the event. Talks are 35 minutes for the topic and 10 minutes for Q&A, for a total of 45 minutes. We are eagerly expecting your proposals! Announcing PHPConf.Asia 2016. CFP Opens Now! The second pan-Asian PHP conference will take place between 22nd and 24th August 2016 in Singapore - the Garden City of the East! Monday, 22nd August 2016 will be a Tutorial day. Followed by 2 days of Conference. Come and meet with the fastest growing PHP communities in Asia. More than 300 attendees are expected in this single track conference. CFP Opens Now!. Hop over to http://2016.phpconf.asia for more details. All PHP 7.0 users are encouraged to upgrade to this version. For source downloads of PHP 7.0.6 please visit our downloads page, Windows source and binaries can be found on windows.php.net/download/. The list of changes is recorded in the ChangeLog. The PHP development team announces the immediate availability of PHP 5.6.21. This is a security release. Several security bugs were fixed in this release. All PHP 5.6 users are encouraged to upgrade to this version. For source downloads of PHP 5.6.21 please visit our downloads page, Windows binaries can be found on windows.php.net/download/. The list of changes is recorded in the ChangeLog. The PHP development team announces the immediate availability of PHP 5.5.35. This is a security release. Several security bugs were fixed in this release. For source downloads of PHP 5.5.35 please visit our downloads page, Windows binaries can be found on windows.php.net/download/. The list of changes is recorded in the ChangeLog. The Italian PHP user group GrUSP is pleased to announce the 13th edition of the Italian phpDay conference, taking place on May 13th and 14th, 2016 in Verona. phpDay is the first historic Italian conference dedicated solely to PHP development, technologies and management. It is aimed to IT managers, developers and innovators. Each year it renews the opportunity to link to new business partners. Every summer we hold our annual conference dedicated to CakePHP. For the past 11 years, the framework has been a benchmark for PHP development, providing developers with a full stack MVC solution to build powerful applications which scale. This, coupled with an amazing community backing and thousands of plugins, makes CakePHP the number one choice for those who love code. That's why we ask you join us at CakeFest 2016 which will be running from May 26th till May 29th, and experience open source at it's very best! As always, CakeFest will consist of a two day workshop (At beginner and advanced levels) and a two day conference. This year we are in the beautiful city of Amsterdam, Netherlands. The workshop sessions at CakeFest are an ideal way to learn CakePHP whether you are just starting out, or you are a seasoned developer. They are also a great way to get up to speed with the latest versions and innovations within the framework. All this, directly from the core developers themselves! The workshops will be on May 26th and May 27th. Comprising two jam-packed days of presentations, discussions and talks on CakePHP related technologies. The conference portion of CakeFest is an event not to miss, for both new and old users of the framework. The conference will be on May 28th and May 29th and we have some fantastic speakers lined up. For source downloads of PHP 5.6.20 please visit our downloads page, Windows binaries can be found on windows.php.net/download/. The list of changes is recorded in the ChangeLog. For source downloads of PHP 5.5.34 please visit our downloads page, Windows binaries can be found on windows.php.net/download/. The list of changes is recorded in the ChangeLog. The PHP development team announces the immediate availability of PHP 7.0.5. This is a security release. Several security bugs were fixed in this release. All PHP 7.0 users are encouraged to upgrade to this version. For source downloads of PHP 7.0.5 please visit our downloads page, Windows source and binaries can be found on windows.php.net/download/. The list of changes is recorded in the ChangeLog. 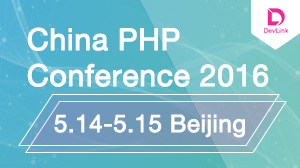 DevLink is pleased to announce the China PHP Conference 2016. DevLink is a group dedicated to helping developers continuous improvement. China PHP Conference 2016 face to senior PHP programmers, found for better communication in China. It will be held on 5.14-5.15 2016 for a two-days in Beijing, and we have invited Rasums Lerdorf, Xinchen Hui and other best PHP experts as speakers. There're over 10 topics foucus on PHP performance optimization in the Alibaba double-11 events; PHP development of big data analysis; Swoole cluster development, and SOA applications programming; upgraded to PHP7 experience of enterprise application. There will be more than 700 senior PHP programmers and technical managers come to attend the conference. Go to devlink.cn for tickets and more information, we are looking forward to seeing you in Beijing! After Nantes, Lille, Lyon,and Luxembourg-City, this year the PHP Tour, the itinerant conference organized by the French PHP users group, goes to Clermont-Ferrand, a lovely city surrounded by volcanoes. Helped by Clermont'ech, a local developers organization, AFUP is happy to welcome you on May 23rd and 24th at the Polydome convention centre. 2 days of talks and workshops for PHP lovers community ! The PHP development team announces the immediate availability of PHP 5.6.19. This is a security release in which several security bugs were fixed. All PHP 5.6 users are encouraged to upgrade to this version. For source downloads of PHP 5.6.19 please visit our downloads page, Windows binaries can be found on windows.php.net/download/. The list of changes is recorded in the ChangeLog. The PHP development team announces the immediate availability of PHP 5.5.33. This is a security release in which two security bugs were fixed. All PHP 5.5 users are encouraged to upgrade to this version. For source downloads of PHP 5.5.33 please visit our downloads page, Windows binaries can be found on windows.php.net/download/. The list of changes is recorded in the ChangeLog. The PHP development team announces the immediate availability of PHP 7.0.4. This is a security release. Several security bugs were fixed in this release. All PHP 7.0 users are encouraged to upgrade to this version. For source downloads of PHP 7.0.4 please visit our downloads page, Windows source and binaries can be found on windows.php.net/download/. The list of changes is recorded in the ChangeLog. Istanbul PHP User Group is proud to announce that the PHPKonf 2016! We'll host some of the best speakers, awesome talk topics, latest technologies, and up to date news in PHP. Join us on 21st/22nd of May for a two day, double track conference in ancient city Istanbul! We’ve something for every level of PHP developer with 2 keynotes, 28 talks and 2 panels. The team at php[architect] is excited this year to bring you the 11th edition of one of the longest running PHP conference in the world: php[tek] 2016 — running from May 23th-27th. This year we have moved the conference to a bigger venue, in St. Louis, in order to expand this year and for years to come. ... and 3 amazing keynotes by community members! We also are planning lots of great activities to let you mingle with the community, get to know the speakers, and make connections that will last the year through. Midwest PHP 2016 Conference is launching into its fourth year in Minneapolis, MN. Once again this year, Midwest PHP is bringing leading experts from around the world to talk about APIs, Frameworks, Security, Testing, Continuous Integration, and much more! Midwest PHP welcomes developers of all levels and encourages diversity - we promise there will be something for everyone. So join us March 4-5th for great talks, great people, and of course great food! Don’t wait until it’s too late to come to this fantastic conference. Last year was a sell out year and this year we are expecting an even higher demand for tickets. Register today at http://2016.midwestphp.org/register and we look forward to seeing you there. Make sure to allow follow us on twitter at https://twitter.com/midwestphp or on facebook at https://www.facebook.com/midwestconf. The PHP development team announces the immediate availability of PHP 5.6.18. This is a security release. Several security bugs were fixed in this release. All PHP 5.6 users are encouraged to upgrade to this version. For source downloads of PHP 5.6.18 please visit our downloads page, Windows binaries can be found on windows.php.net/download/. The list of changes is recorded in the ChangeLog. For source downloads of PHP 5.5.32 please visit our downloads page, Windows binaries can be found on windows.php.net/download/. The list of changes is recorded in the ChangeLog. The PHP development team announces the immediate availability of PHP 7.0.3. This is a security release. Several security bugs were fixed in this release. All PHP 7.0 users are encouraged to upgrade to this version. For source downloads of PHP 7.0.3 please visit our downloads page, Windows source and binaries can be found on windows.php.net/download/. The list of changes is recorded in the ChangeLog. The team at NortheastPHP is excited to annouce that the Call for Speakers is open for our 2016 conference. This 5th annual conference that is focused on community is moving to Charlottetown, Prince Edward Island! We have a number of other updates that will be announced in the coming months as well. For now, we want to hear from you! We want to hear what talk ideas you have. Without our speakers, there would be no conference. We offer a very comprehensive speakers package as well. Don't hesitate! Our Call for Speakers will be closed before you know it. So you only have a short time to get those submissions in. We look forward to hearing from you! The PHP development team announces the immediate availability of PHP 5.6.17. This is a security release. Several security bugs were fixed in this release. All PHP 5.6 users are encouraged to upgrade to this version. For source downloads of PHP 5.6.17 please visit our downloads page, Windows binaries can be found on windows.php.net/download/. The list of changes is recorded in the ChangeLog. The PHP development team announces the immediate availability of PHP 5.5.31. This is a security release. Several security bugs were fixed in this release. All PHP 5.5 users are encouraged to upgrade to this version. For source downloads of PHP 5.5.31 please visit our downloads page, Windows binaries can be found on windows.php.net/download/. The list of changes is recorded in the ChangeLog. The PHP development team announces the immediate availability of PHP 7.0.2. 31 reported bugs has been fixed, including 6 security related issues. All PHP 7.0 users are encouraged to upgrade to this version. For source downloads of PHP 7.0.2 please visit our downloads page, Windows source and binaries can be found on windows.php.net/download/. The list of changes is recorded in the ChangeLog.